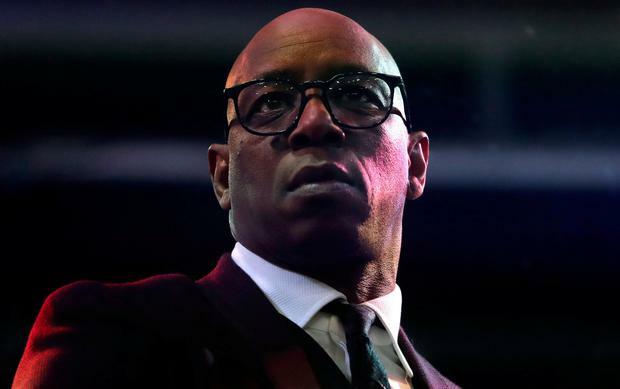 England and Manchester City forward Raheem Sterling is the victim of a media agenda motivated by racism, according to Ian Wright. Sterling is no stranger to negative headlines about both his on and off-field actions, with a recent example coming on the eve of the World Cup when a new tattoo of an assault rifle on his leg dominated the news. Former Arsenal and England striker Wright believes the criticism 23-year-old Sterling receives is different to any other player - and says that it can only be down to the colour of his skin. Wright, in an interview on BBC Radio 5 live, said: "How many people do you see get the criticism Sterling gets? "They don't get that stick because for whatever reason they don't rub up the people in the corridors of power the wrong way. I think there is an agenda against him." Wright believes Sterling, who was born in Jamaica before moving to London as a youngster, is being "picked on" because of his background and because people do not want him to be a success. He added: "There is an element of people at high end of the media who want to keep that guy down. Simple. "When you look at the wave of criticism that he takes, there is a certain amount of racism towards it - what else can it be? "They are picking on him because of the background he has come from and they want to keep him down, drag him back down. They don't want him to continue to be a success.